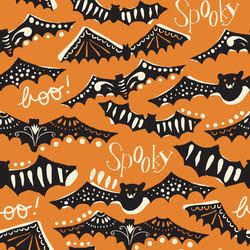 Today I'm enjoying browsing Maude Asbury/Blend Fabrics for Halloween. These are some of her cutest ones. I love the whimsical hats on these bratty black cats in Spooktacular Eve. It's also available on Etsy. 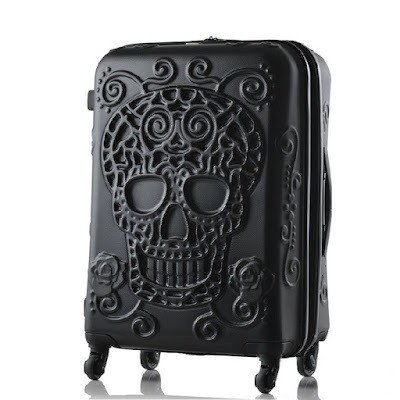 Here's another design from her Spooktacular Eve line. The cats all look scared, and one of them is a mummy! These ghosts have intricate designs on their sheets! 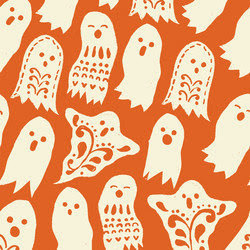 Here are the ghosts in orange as well. 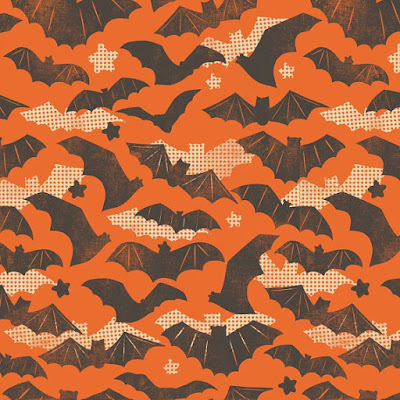 The bats in this Gone Spooky design also have dainty patterns on their wings. Here's Gone Spooky in ivory as well. 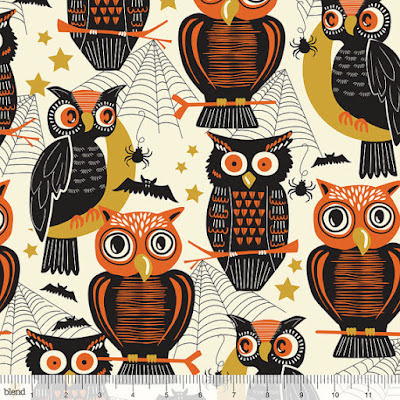 Here are Maude Asbury's Spooktacular Eve owls. 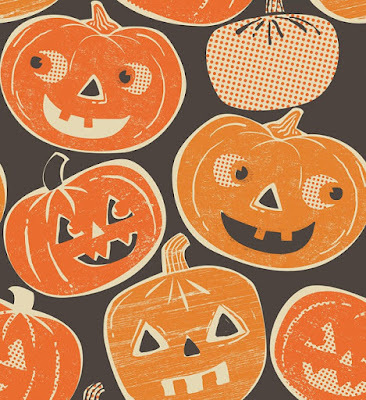 These jolly jack'o-lanterns are part of Maude Asbury's Pumpkintopia line. 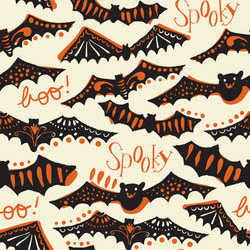 This fabric is called "Gone Batty." 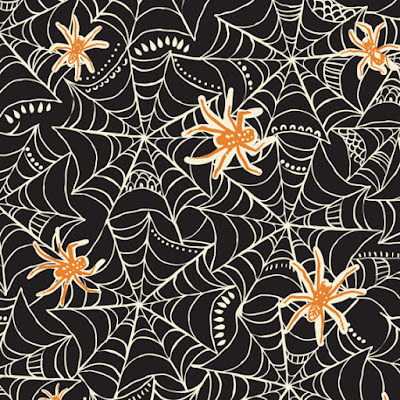 This spider fabric for Halloween is called "Caught in a Web." 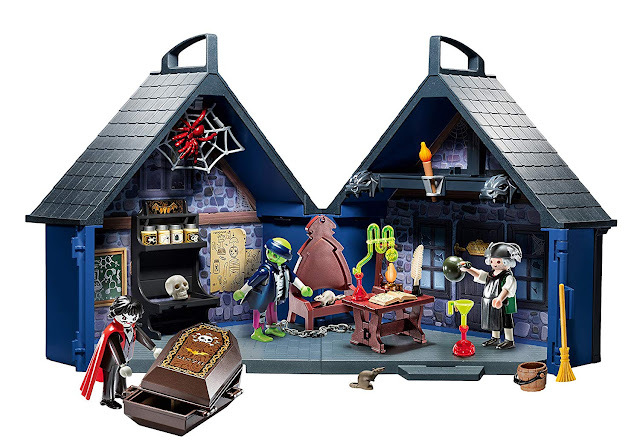 Here's my very favorite - Witches Brew. 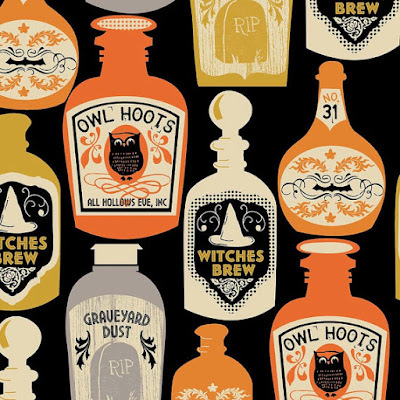 Love the potion jars!